Commercials for radio, TV, Internet. TV and radio promos. Industrial Videos. IVR’s. Documentaries. Audiobooks. Toys. Phone Applications. Text to Speech. On camera and print. 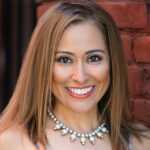 Zuleika Deciga has 15 years of experience doing voice overs professionally in Spanish and English. She was born and raised in Mexico City. She has a BA degree in Journalism and Communication from the National University of Mexico (UNAM). She has written for newspapers as a journalist, was a radio DJ for 8 years and worked as a producer and on camera talent for TV. Based on her media experience in both US and Mexico, she has great insight into the likes and needs of the target audience for her projects. She uses this insight on every read. Amazon Prime, Expedia, Fanta, Starbucks, Microsoft, Mac Donald's, Shoe Carnival, Les Schwab, WA Lotto, Mass Save, Clearwire, Xbox, Mariners, Seattle Sounders, Nordstrom, Macy's, Children's Hospital, California State Fair, Ben Bridge Jeweler's, Washington Patrol, Community Health Plan of Washington, Georgia Lotto, American Legacy, Unicel, Cingular, Washington State Department of Health, Coinstar (Puerto Rico), Hollywood Video, SRP Energy Management, Washington Traffic Safety Commission, TV Channel V-Me Seattle, Money Tree, Washington State (Education), PBS (Talaris/Parenting), Hagar, Prudent Choice, Vicks Nyquil for kids (Mexico City) + 30 more. Microsoft, The World Bank, Walmart, The City of Seattle (Rainwise.org), Savers, Inter Continental Hotels Group, SSDI Work Incentives-Idaho, Innventures, Mybpr.com, Hewlett Packard, 4Life, Proactive Smart Health, 3FX, Inc. (Atherosclerosis), Rena Ware, Siemens-Centra Active, Head Start Utah, California State Department, Swedish Hospital (Seattle), IMPAD, Xango, Prudent Choice Insurance. Dubbing for Parenting program “The Wonderful Years”, Elly Lilly & Co, Nuskin + 20 more. San Diego Gas & Electric, Verizon Wireless, AT&T, Best Buy, DELL, T-Mobile Visa, Sprint, Straight Talk + 50 more. -Meditation program for kids: Mind Yeti.